Image: Detail view, Pete Railand, Commonwealth, 2016, Risograph print. Thank you so much for organizing this important exhibit. 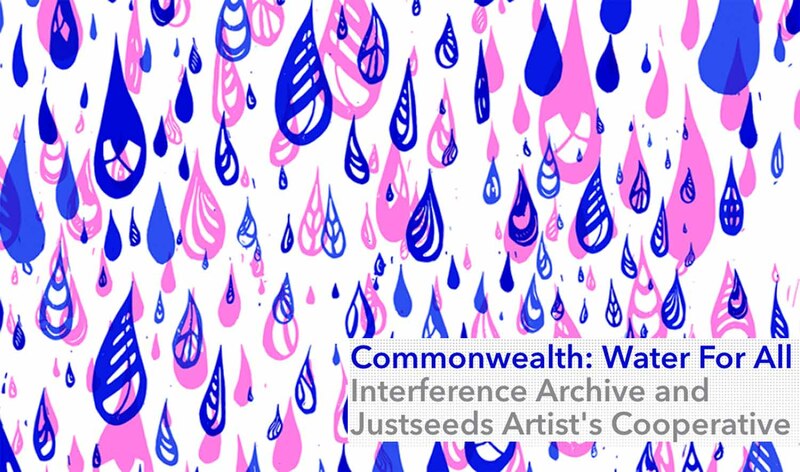 Congrats to Josh, Justseeds, and all artists/activists involved! Am hoping to get to see this show! Currently we are trying to stop dual pipelines carrying Bakken crude proposed to run from Albany to Linden NJ, called Pilgrim Pipelines. It would cross numerous waterways and watersheds in the Hudson Valley in NY and into NJ. In solidarity with the Standing Rock Sioux water protectors, the Ramapough Lenape Nation tribe has set up the Split Rock Sweetwater Prayer Camp in Mahwah NJ. See splitrockprayercamp on fb and see stoppilgrimpipeline.com for more info on the pipelines. It’s all connected, just like water connects us all. Peace.